Living about 120 miles from the store, it took me a while to visit the store again to pick up my hoofjack. “Ahhh, I tried it out after it came in, hmm, works actually pretty well. It is used now and I want to keep it for myself. I’ll order you another one”. An obvious convert now. 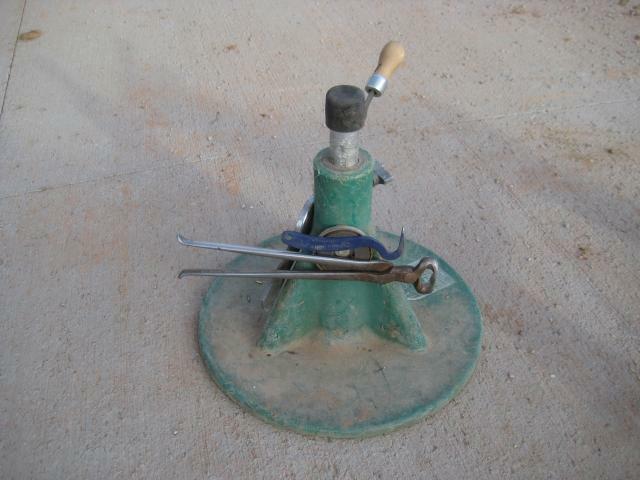 The hoofjack sold itself to a farrier, set in his ways, who previously considered it beneath himself to use one. 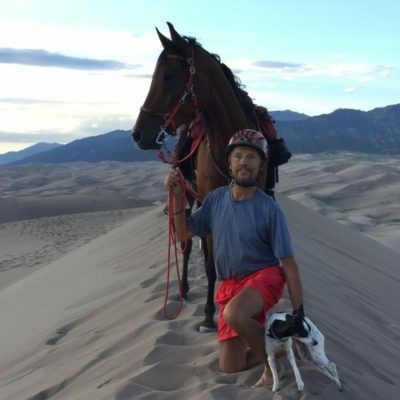 I, on the other side, do not have to prove anything; in fact, I believe in making it as easy as possible on my body when working on the horses hooves. The Hoofjack has been around for a while now. How can we utilize it to the fullest? 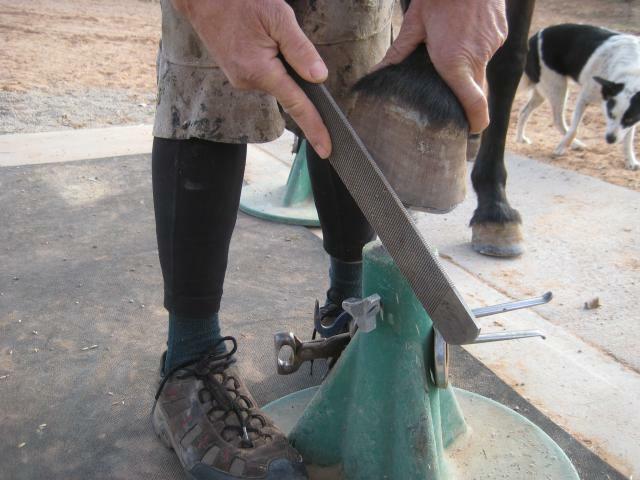 Pull a shoe, trim, rasp, and put on a hoof boot without putting the hoof between your knees or supporting the horse with your body. Take your mind off your back and knees and put it back into your work. 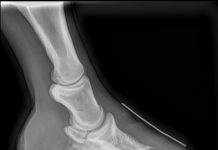 It supports the hoof for daily care, treatment, bandaging, and more. 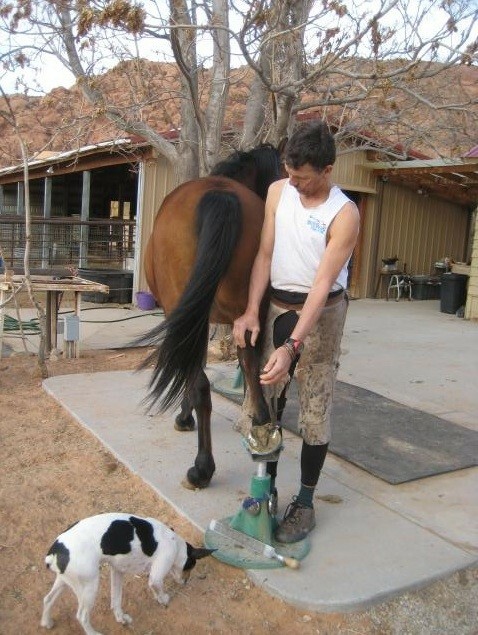 Standard Hoofjack® will accommodate a pony up to a small draft or draft cross (hooves up to a size 6). 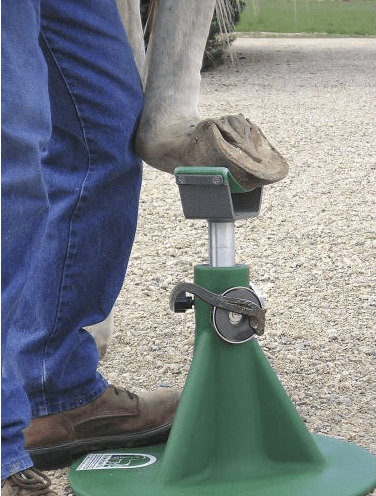 The Standard Hoofjack® consists of one standard base with two magnets, one standard cradle, and one straight post with standard rubber cap. The standard base is made of linear polyethylene and is 12″ in height and with a base diameter of 18″. Overall height adjustment is 14″ – 22″. The base material comes with a three year warranty against horse breakage. 1. 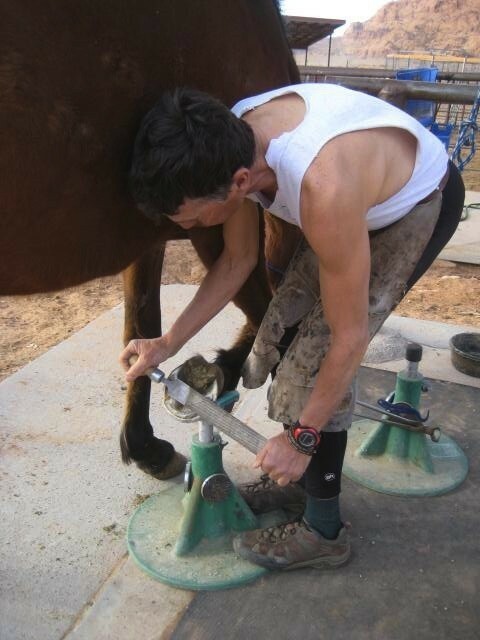 The Hoofjack allows you to keep all your necessary tools for hoof trimming on the two attached magnets. Ready for usage without fumbling and twisting around to gather what you need. 2. 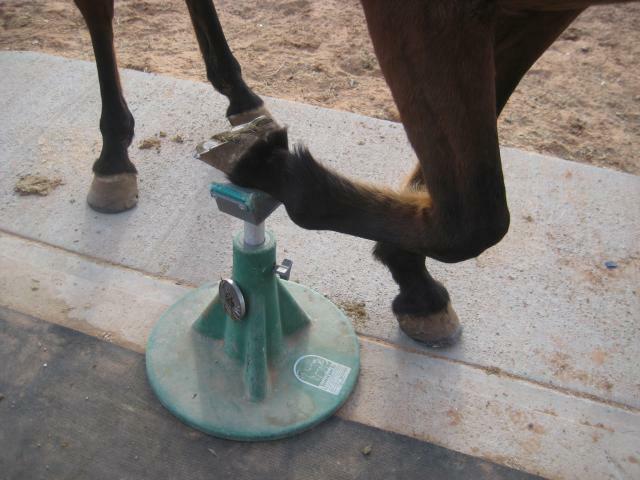 Most horses willingly place their hoof onto the cradle, they balance themselves and don’t lean against you. So you do not have to hold up the horse and waste energy. 3. 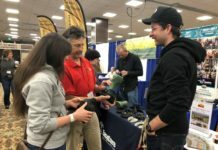 It is easy to stand up and relax your back without having to place the hoof on the ground. Horses like it, because they can rest the leg without any torque on their joints. 4. It makes it easy to bevel the hoof walls, top dress the outside and remove flares. 5. Placing both of your feet onto the base, you can easily stabilize the Hoofjack. It allows you to work freely without running the risk of tipping over the stand. Notice on that photo, that I actually use two hoofjacks at the same time. One with a cradle, the other one with a post. That way I can quickly and easily switch from one task to the other, without having to exchange cradle and posts. You too can make your life easier by acquiring a hoofjack. You can get it from EasyCare or from Global Endurance Training Center.